Rome is one of the most incredible cities in the world. Not surprisingly, it is also one of the most popular tourist destinations. It offers plenty of unique history and culture for travellers to enjoy – along with tons of things to see and do. Are you looking for a vacation to remember? Then Rome may be the perfect place for you. Not convinced yet? Take a peek at these unforgettable places. Where to begin? Well, how about the Piazza Navona. Out of all the popular squares in Rome, this has to be one of the most notable – and busiest. The Piazza Navona has three breathtaking fountains to look at. Fontana dei Quattro Fiumi, or The Fountain of the Four Rivers, is quite large (aka the perfect place to snap some vacation shots!) and showcases four figures, each one representing a different river. The other two fountains, the Fontana del Nettuno (or the Neptune fountain) and the Fontana del Moro (the Moor fountain) are both striking examples of Roman artwork. That’s not all, though. The Piazza Navona also features the church of Sant’Agnese in Agone, which dates back to 1652. In case all that Roman history isn’t enough to keep you occupied, there are outdoor cafes, restaurants, and stores as well. 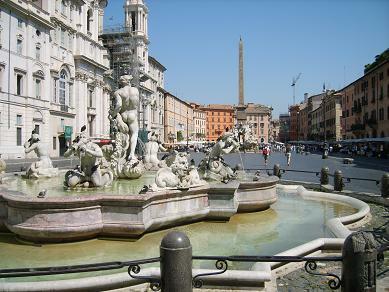 Do you want to stay in the Piazza Navona area? You can always find accommodations in Rome with Friendly Rentals. The next unforgettable place on our list is of course, the Roman Forum. What was once the centre of Roman life is now a collection of ruins…and weeds. The Forum began as a modest cemetery but eventually became the core of public life in Rome. As the Roman power increased, so did the scale of the Forum. At its peak, the area was full of grand buildings, monuments, and statues. It was a place for speeches, trials, and even gladiator matches to take place. Today, you can take guided tour of the area. Walkthroughs let you get an up close and personal look at this pathway of ruins. There are pillars, buildings, and monuments to see, including the Arch of Septimus Severus, the Temple of Saturn, and the House of the Vestals. You can learn more about the Forum and travelling in Rome at Wikitravel. What makes this church special is the artwork. 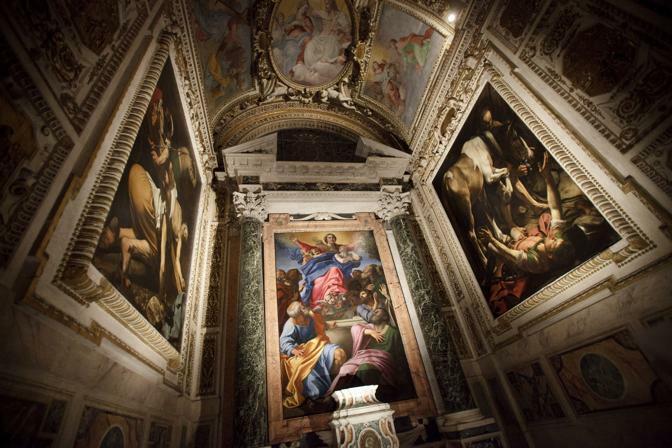 The walls and ceilings are covered in paintings from some of the most famous artists in history, including Raphael, Caravaggio, Bernini, Pinturicchio, and Bramante. During your visit, you can also see sculptures and enjoy the Renaissance architecture. It will definitely be an experience to remember. It’s time to cross Rome off of your travel to-do list. With so many unforgettable places to see…why wait?